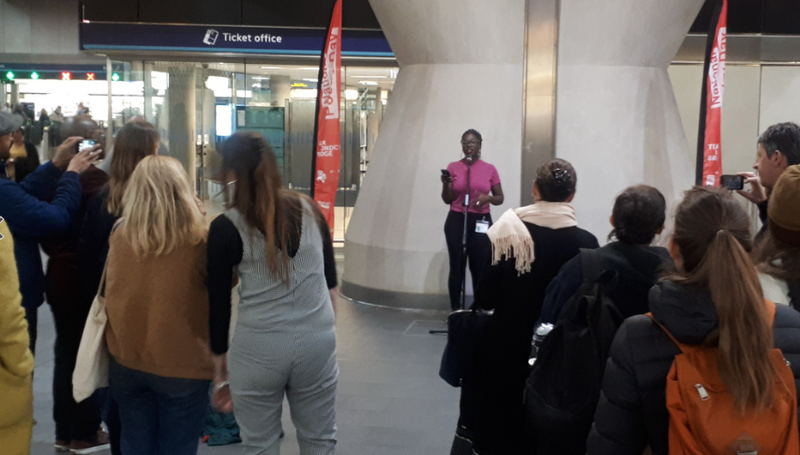 A brand new project kicked off this month: a collaboration between Team London Bridge, Network Rail and Apples and Snakes to bring poetry to London Bridge Station. The initial spark came from Station Manager Denis Kirk to connect with the literary history of the area. National Poetry Day was the perfect focus with the whole country celebrating wordsmiths. Together we presented 10 emerging performance poets who performed on the concourse for afternoon and evening commuters.